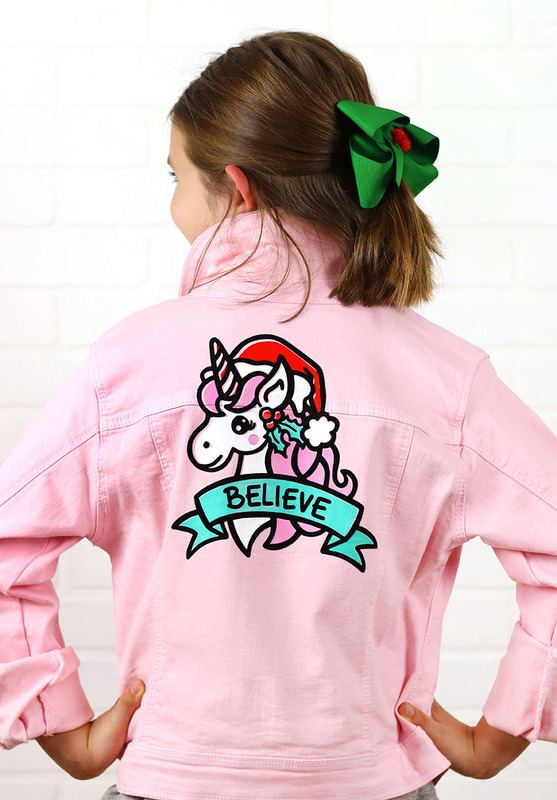 Make your own cute Christmas Unicorn jacket with this adorable hand drawn cut file design. This SVG cut file works with your Silhouette or Cricut to make your own custom holiday apparel, gifts, and more! This post contains affiliate links, which help to support this site at no extra cost to you. Thanks! I have been working on some new holiday cut file designs recently, and since my daughter is completely obsessed with all things unicorn, I decided to try my hand at a Christmas unicorn design. has a peppermint twist horn and holly in its hair. I added the design to the back of a pink jean jacket for my daughter, and she LOVES it. I think it’s pretty dang cute too. To make your own jacket, you will first need to get the cut file. You can purchase it in my shop, OR for the whole month of November you can get a free mini cut file bundle with ANY purchase at Expressions Vinyl and this week (the week of 11/12/18) the cut file bundle comes from yours truly and includes this cute unicorn for freebies! Woot! My process for making this jacket was very similar to the process I outlined for cutting by color in this post. Be sure to reference that post for all the details on easily cutting multiple colors with your Silhouette. If you are brand new to working with heat transfer vinyl, then be sure to check out this post all about how to work with heat transfer vinyl right here. 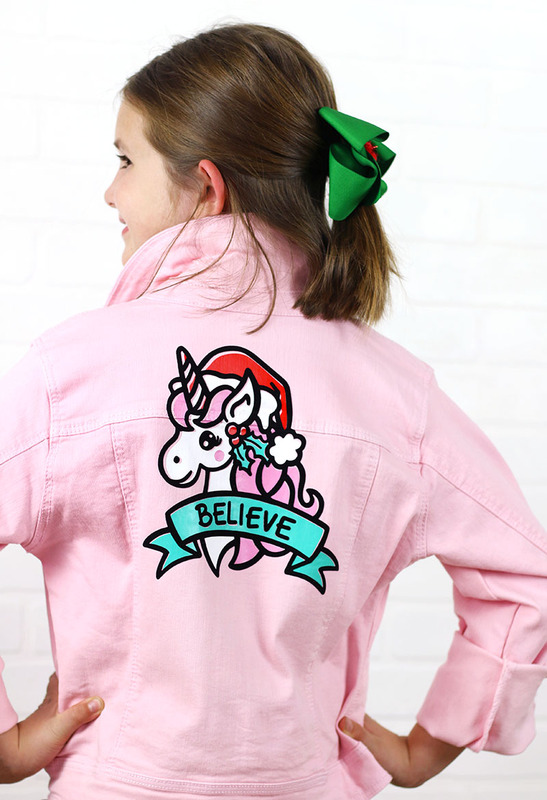 The basic steps for making your own Christmas unicorn jacket are as follows. Cut each color layer from heat transfer vinyl. (Don’t forget to mirror your design!) Read more about cutting by color with your Silhouette here. Use the top, black piece to help you place each piece below. Use your iron or heat press to apply each layer. Remove the carrier sheet and use your iron to apply the next layer. Be sure to cover any exposed vinyl with a piece of parchment paper or multi-use paper. Repeat until all layers have been applied. And that’s it! 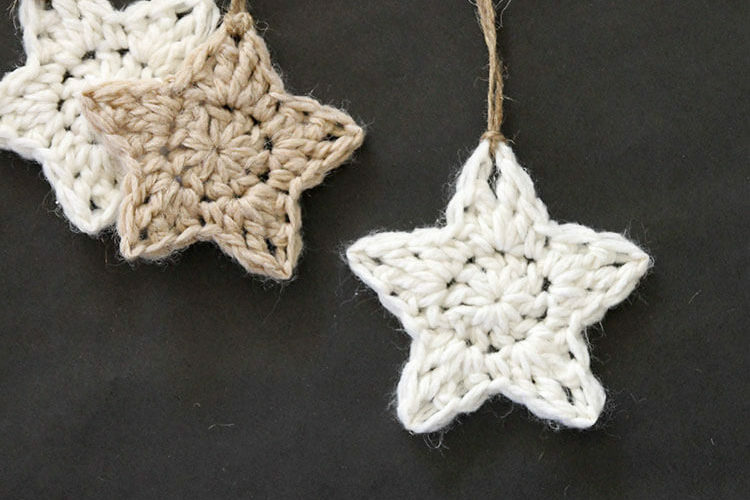 If you use this cute holiday unicorn for your own projects, I would love to see it! You can share your projects with me on my facebook page or by tagging me on instagram.